Stenosis is narrowing of a canal or blood vessel in the body. With regards to spinal stenosis this mainly refers to the spinal canal which is the main hole through which the spinal cord (or corda equina) travels on its pathway from the brain along the spine but may also refer to the outlets between the vertebra known as the intervertebral foramen. These boney canals contains ligaments, blood vessels, the dura (coating of the spinal canal) and cerebrospinal fluid (CSF). In the neck it is called cervical stenosis (cervix is Latin for neck) and lumbar stenosis in the lower back. There can be many reasons why the spinal canal, or the lateral foramen, reduces in size when stenosis occurs but one cause is a thickening of the ligaments contained within the canal such as the main ligaments of the spine (posterior longitudinal ligament or ligament flavum). Common causes of spinal stenosis are changes to the boney structures such as degenerative change, osteophyte formation and other structural changes linked to disease processes. The canals can reduce in size because of other factor such as oedema, inflammation, scar tissue and disc herniation. Rarer are causes such as spinal tumours, infection (osteomyelitis) and fractures. Symptoms can vary immensely and can result in local pain, immobility, reduced ability to stand straight and may lead to the symptoms of claudication. Claudication is when walking for a period of time (or distance) leads to intense pain, prevents continued walking. Having rested for a period of time walking can then continue for the same fixed period of time / distance before the pain returns. Can Chiropractic Care Help with Stenosis? Chiropractors can help manage and improve many of the processes that created the narrowing of the canal by improving function and increasing the mobility of the spinal components. Improving the flexibility of the restricted spinal segments increases blood flow, lymphatic drainage and tissue repair. This has a profound effect on swelling, oedema and inflammation which leads to a significant improvement in symptoms. Restriction of the size of the canal restricts the physical movement of the spinal cord (or nerve roots). The spinal cord should move a large amount during normal flexion and extension of the spine but it becomes trapped and immobile with spinal stenosis. Chiropractic care can help in many cases to improve the mobility of these neural tissues, which in turn aids healing and reduces symptoms. This helps the patient experience a marked reduction in discomfort. 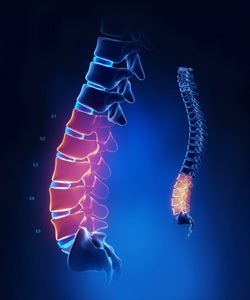 Chiropractors have a variety of techniques that can improve spinal motion and aid in repair and/or management of some types of spinal stenosis. The exact approach differs from one client to the next but usually includes a gentle low-force adjusting approach to subtly change the positions of the vertebrae and increases intersegmental motion. In addition a special chiropractic technique known as flexion distraction has been shown to have a high level of comfort, safety and effectiveness with certain types of spinal stenosis. This technique gives chiropractors the ability to restore the spinal joints to more normal motion and position without aggravating the condition and helping to relieve the pain and discomfort. As restriction and immobility are usually key parts to spinal stenosis, it helps to correct the actual problem rather than masking the pain. Chiropractic can help with the management of this condition over a long period of time. Unlike the use of some pain medications there are very little side effects of flexion distraction and it is very safe. Chiropractic care is an approach that’s all natural and non-invasive and many clients who have received chiropractic care for this condition report significant success. Chiropractic care has many advantages. Non-invasive: Chiropractic care does not involve an invasive surgical procedure and can be done with little interruption to a client’s normal daily routine. No recovery time: As no surgical procedures are involved there is no recovery time needed, which in turn means there is no absence from work or time spent recuperating. No addictive pain medications: Chiropractors do not prescribe pain medications. The use chiropractic adjustments relieve pain, improve function and help the body heal. Natural: Everything about chiropractic care is natural and gentle for clients of any age. It is always worth trying chiropractic before the use of drugs or surgery. If you have any of the symptoms mentioned above then do contact our office today on 01603 764444 or email reception@inspiredchiropractic.com to schedule your first appointment.